Technical SEO is one of the most fundamental aspects of SEO. You may have the most incredible piece of content for a popular topic in your niche, but if your site has unresolved technical SEO issues, you’ll struggle to rank high in search engine result pages (SERPs). As a result, it’s really important that you spend some time optimizing the technical SEO of your website. In this article, I’ll explain the key aspects of technical SEO and share 10 actionable technical SEO tips you can use to instantly increase your site’s organic traffic. 1 What is Technical SEO? Technical SEO is the process of optimizing the crawling, indexing, and rendering phase of your website to achieve higher search rankings. Now that you know the basics of technical SEO, here are 10 tips you can use to improve your site’s technical SEO and boost your search rankings. Let’s start with the most basic technical SEO tip. One of the major Google algorithm updates in 2015 was to give increased preference to mobile-friendly, responsive websites. In what was termed as ‘Mobilegeddon’, several top websites were penalized for not adopting a more mobile-friendly web template. 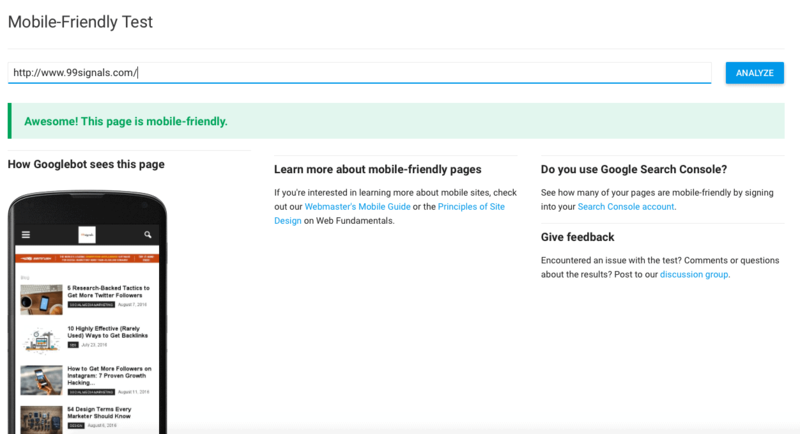 Google’s Mobile-Friendly Test will determine whether your website meets Google’s criteria for mobile-optimized website. HubSpot’s Website Grader and GTMetrix provide deeper insights into what you can do to improve the mobile-friendliness of your website. 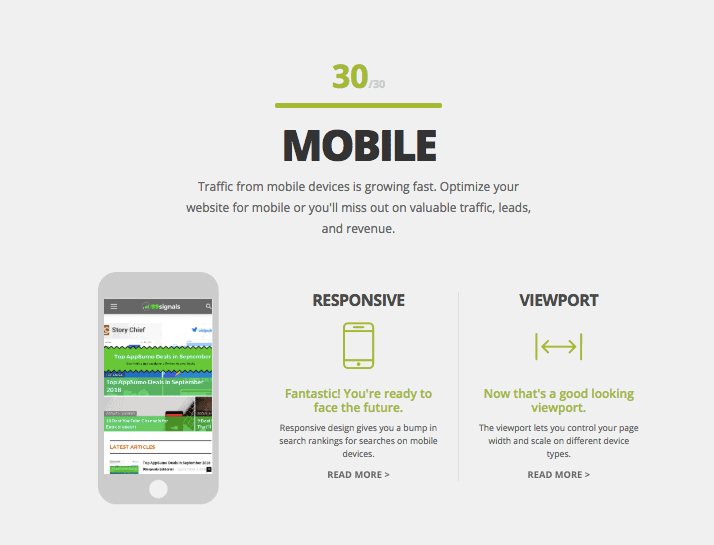 BONUS: Check out this article by Startup Cafe Digital on how to make your website 100% mobile-friendly and download the mobile SEO audit checklist. Luckily, it’s easy to create an XML sitemap. If you’re a WordPress user, you can generate it using Yoast SEO plugin or Google’s very own Google XML sitemaps plugin. Once you’ve created the sitemap, submit it to Google via Google Search Console. Login to your Google Search Console account and navigate to Sitemaps -> Add a new sitemap and then hit ‘Submit’. Site speed matters. Make no mistake. If your site is slow and takes a long time to respond, Google will place a small penalty on your website. That means even if your content is gold standard for that particular topic, your website will rank lower in SERPs than it would if your website had faster load times. This is a technical SEO aspect that you simply can’t afford to ignore. Optimize your site’s images – Use a compressed image format like JPG in majority of your posts. Use a tool like TinyPNG to further compress the image files. Enable browser caching – This lets you temporarily store some data on a visitors’ computer, so they don’t have to wait for it to load every time they visit your site. Enable compression – According to Yahoo, enabling compression on your website can reduce HTML and CSS files by 50-70% and increase site speed significantly. Reduce server response time – Google recommends keeping server response time under 200ms. Use a Content Delivery System (CDN) – Use a CDN like Cloudflare or MaxCDN to increase your site speed. Learn more about how to implement these steps in this comprehensive guide. You need to fix your on-page SEO issues by running a weekly site audit if you’d like to rank higher in SERPs on a consistent basis. There are several tools on the market which can help you do this. SEMrush, Moz, and Ahrefs are all great tools. 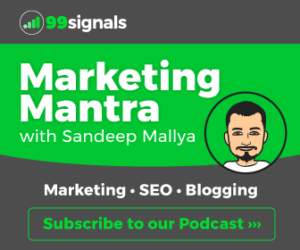 But I’d highly recommend SEMrush for this activity as it’s considered the industry gold standard and it offers the most comprehensive glimpse to the technical aspects of your website. If you don’t have access to the tool, you can sign up for a 14-day free trial of SEMrush PRO by clicking here. To perform a site audit on SEMrush, click on ‘Add New Project‘, enter the details, and select ‘Setup Site Audit‘. 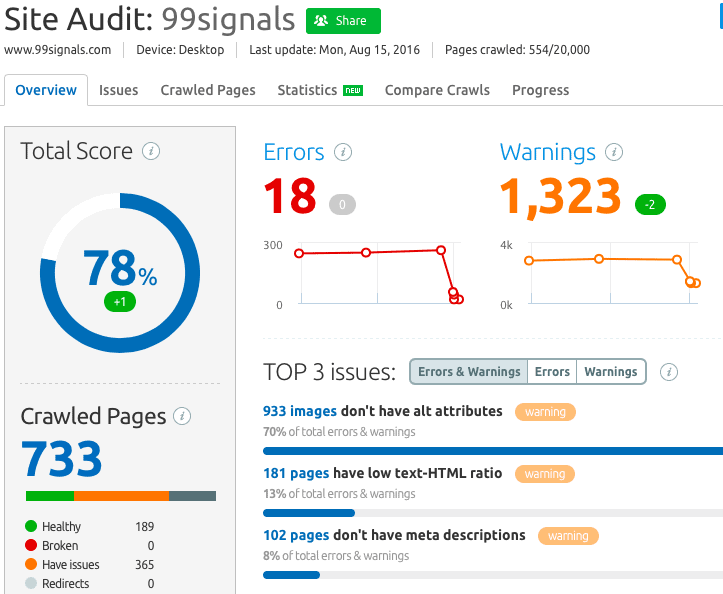 Select the number of pages you’d like SEMrushBot to crawl and click on ‘Start Site Audit’. SEMrush will scan your website for errors, warnings, and issues, and then subsequently provide recommendations to fix these errors to improve the overall technical health of your website. Side note: SEMrush is a powerful digital marketing suite that can help you with more than just technical site audits. Read my full review of the software to learn more. An internal link is a hyperlink that points to another page on the same website. While internal links may not have the same influence on search rankings as external links, they still play a critical role in helping search engines understand the information hierarchy for your website and establishing an SEO-friendly site architecture. So what’s the easiest way to optimize your site’s internal links? Moz recommends using descriptive keywords in anchor text that give a sense of the keywords the source page is trying to target. To learn more about optimizing internal links on your website, check out this resource. Google can’t see what’s in an image. Rather it uses metadata such as the image file name and image alt text (alternative text) to determine what’s in an image. Alt text is used within an HTML code to describe the appearance and function of an image on a page. Typically, the best practice for alt text is to keep it descriptive with sufficient use of the main keywords that you’re targeting. At the same time, make sure you’re not stuffing it with keywords. There’s more to image SEO than just adding alt text. Image optimization can lead to improved performance of your site in search engines. Here are seven actionable image SEO tips you can implement right away. Your first priority should always be to delete the duplicate content on your site. Once again use an SEO tool like SEMrush to scan and fix duplicate content issues on your site. That said, there are some cases where having duplicate content on your site can’t be avoided. In such cases, use canonical URLs. Canonical URLs come in handy when you’re replicating a blog post from one website to the other. They are especially useful if you’re running an e-Commerce website with hundreds of identical pages. So in order to avoid content duplication and a Google penalty, set up a canonical URL using the rel-canonical tag. You can add the rel-canonical tag via Yoast SEO WordPress plugin. Just navigate to advanced settings on Yoast, then go to Canonical URL and enter the URL of the original article. Google confirmed back in 2014 that SSL certificates aka HTTPS encryptions are now a ranking signal. So if you’ve been thinking of getting an SSL certificate for your website, now is the time to upgrade, not just for enhanced security, but also for SEO. I recommend SSL certificates from Namecheap if you’re looking at cheap, yet effective SSL implementation. Pro Tip: Though there are several web hosting services which provide SSL certificates, I highly recommend you try Namecheap SSL certificates. They are reliable and highly cost effective compared to other SSL providers. Check for crawl errors in Google Search Console once a week and fix them promptly as these are serious technical issues that may hinder the performance of your website and hurt your rankings. While you’re at it, check your robots.txt file as well to make sure you’re not blocking pages that shouldn’t be blocked. AMP stands for Accelerated Mobile Pages. These pages are designed to load super fast on mobile devices. 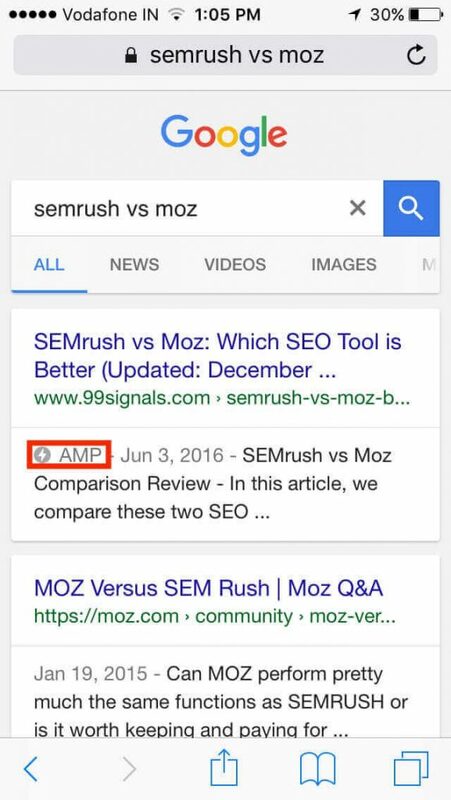 While Google has not made announcement whether implementing AMP is search engine ranking signal, Google has been pushing publishers to use AMP. AMP posts also get highlighted in SERPs as you can see below. Pro Tip: If you’re a WordPress user, it’s super easy to implement AMP. Just download the Google AMP plugin and you’re all set. Check and minimize the number of 301 redirects for your site. Always prefer subfolders over subdomains – This is a long, on-going debate, but most SEO experts agree that subfolders rank better in SERPs than subdomains. Technical SEO often takes a backseat to on-page and link building aspects of SEO. But it is equally important to fix technical issues on your site to perform better in SERPs. Which is your favorite technical SEO tweak? Let us know in the comments section. Editor’s Note: This article was first published on Aug 18, 2016 and has since been updated for relevance and comprehensiveness. Pretty good tips shared here. “Canonical URLs to Avoid Content Duplication” is something I’ve been looking more into because I was exploring having my content syndicated to get more exposure to my brand. But, I was worried about duplicate content — until I heard about this. Certainly something I’ll be studying up more on. Hey Warner – Good to see you here. Glad you liked the article. Canonical URLs are something that I use frequently as I usually replicate some of the posts from here to my agency blog. Really helps to avoid content duplication. 2. sitemap.xml should include in robots.tx file. Thanks, Rajesh. Glad you found the article useful. And thanks for sharing your points across. If you refer to point 9, you’ll see a brief pointer about robots.txt file. You know I think SSL are one of the ranking factors nowadays, That’s what I personally assumed! 1) Is internal linking in blog enough, or needs to be done in website content as well? 2) Is it necessary to make your website HTTPS? 3) Is it necessary to change the web hosting for SEO purpose, if we have already purchased one? 1) Internal linking is good for website content as well. However, blogs offer more internal linking opportunities. 3) If you’re happy with your web hosting service, then there’s no reason to switch. Having said that, you can always upgrade your existing plan to improve your site’s performance. Hey, Sandeep, all the things you mentioned are the best practices, but even this is less when it comes to improving ranking. Can you suggest some new thing that can be done to have a leeway against the competition? Hi Ravish – I agree. There are several factors which contribute to your content ranking well in search engines. High-quality content and relevant backlinks are key signals to get your article performing well in SERPs. But technical SEO is gradually gaining more prominence. Site speed and SSL certificates may be minor ranking signals now, but will definitely be more important in the years to come. I’ll try to cover other aspects of SEO on 99signals soon. But if you’re in urgent need of some really exceptional SEO tips, please check out backlinko.com by Brian Dean. He’s just brilliant! In 2018, loading time is the most important part of the website ranking in search engine. A website that has less loading time can easily be ranked higher in mobile searches. Great tips shared in this article! Thanks for sharing it. 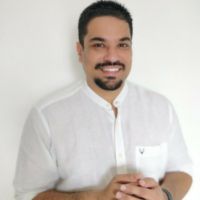 Hi Sandeep, First things first, You are truly amazing with SEO, I really liked your Blog and the Content on here is very helpful. I actually implemented the advices you mentioned here. They are very effective. 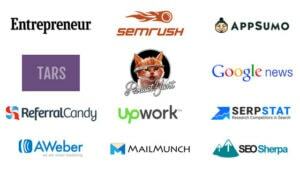 I was wondering How is the future in SEO Industry, is it going to increase or be stable as it is today. Plus I wanted to know is text content today still worth it or we need to shift at different verticals to stand out? Need your Views Sandeep 🙂 .